Starting the week of August 6th…..
*The 9 am classes will move to 9:15 Monday through Friday. *The weekday kids’ class will move to Wednesday @ 4:30 (Saturday still 10:00). *Open Gym will be back on at 4:30 on Tuesday, but there will NOT be Open Gym on Wednesdays at 4:30. 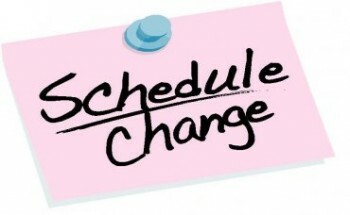 This is a permanent change so please make note of the time when scheduling your classes. Thanks for your flexibility! ← Why Do We Have Lifting Days?